In collaboration with Expedia Group Media Solutions, the SDTA launched “Better by the Beach,” a bespoke creative campaign that drove awareness, inspiration and consideration while increasing perception of San Diego as more than a beach destination. SDTA and Expedia’s global OTA campaign won a silver Adrian Award in the Advertising/Repositioning category, presented by the Hospitality Sales & Marketing Association International (HSMAI), an international organization of sales and marketing in the hospitality industry. Now in its 62nd year, the Adrian Awards recognize hospitality brands and agencies for creativity and innovation in advertising, digital marketing, and public relations. The “Better by the Beach” custom campaign ran in the United States, Canada, United Kingdom and Germany, February through May 2018. The campaign lived on a custom microsite hub that was built upon the notion that travel experiences are significantly enhanced when they happen closer to the coast. On the custom hub, users could browse the microsite by experience type or filter by destination information, lodging, activities and packages. 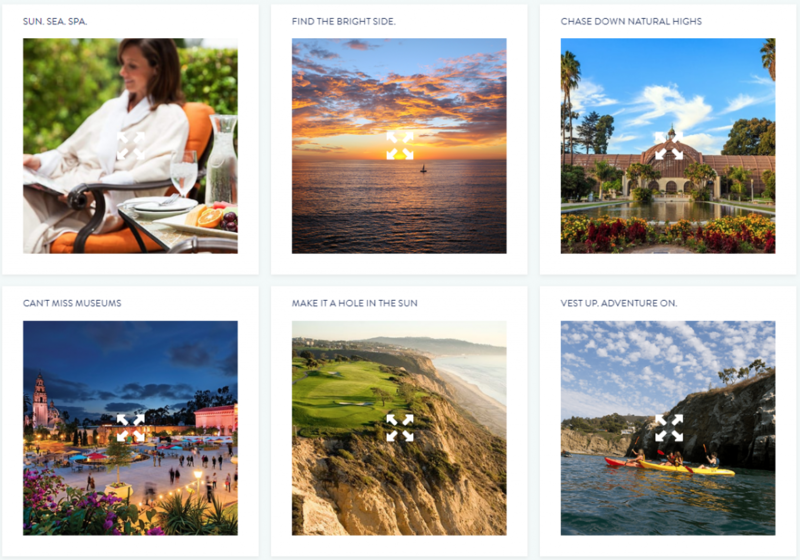 To further inspire travelers, the microsite showcased the wide variety of activities available in different regions within San Diego, and users could explore additional activities and search for nearby hotels using the map feature. The microsite was supported by various digital tactics including display ads, custom emails and social media amplification and content. The Better by the Beach campaign generated over six percent year-over-year increase in searches to San Diego, over 48 million social media impressions and more than 76 million total media impressions, illustrating the campaign’s success in inspiring users and driving awareness for the destination. To discover this year’s HSMAI Adrian Award winners or to learn more about the awards program, click here.